Another SPRING themed workshop! Come along to Lima Oscar Lima & Make your very own hanging plant holder & paint your own terracotta pot to go with it! 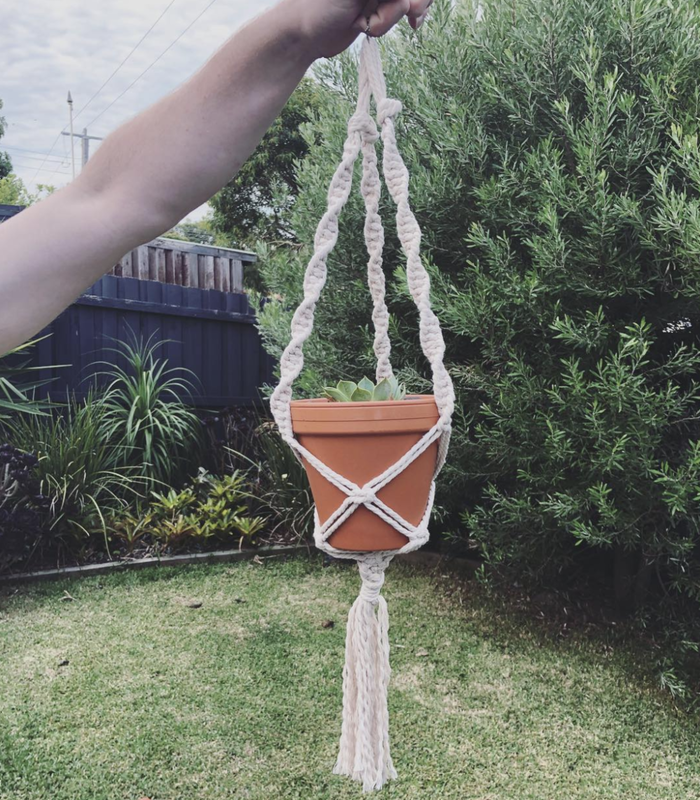 The talented Ali from Knotted & Potted will take you through step by step, using 100% recycled cotton to make your Macramé hanging plant holder. You will be instructed in a combination of different Macramé knots to create your own unique hanging. We will also paint our terracotta pots to create a complete piece! Just add plants! All materials provided but if you have a specific pot you’d like to use feel free to bring it along! If you can't make our scheduled workshop but would still love to give this a try, we offer private workshops for groups of 4 or more! Contact us to arrange a time that suits you!